I love reading. I love my children reading. One thing throughout the years I have never said no to is books. Books enrich our lives, take us to different times, different countries, different worlds. Books warm our soul. 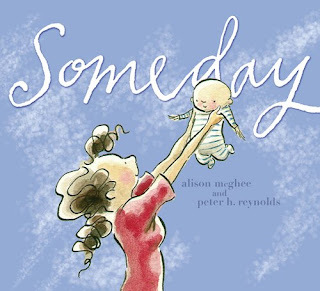 Recently we received a new book called "Someday". It was highly recommended to me for the shops so I thought to read it before putting on the shelf for sale. I was so touched by this book, I burst into tears there and then in the shop. I can only imagine what my customers thought when they walked in a saw my red eyes. It's a book about the love we mothers have for our children and special moments we share. How many of us have sat there looking at out babies sleeping and marvelled at the beauty we have created. Needless to say all the girls in the shop have read it. Another great one is "Ten Little Fingers...".